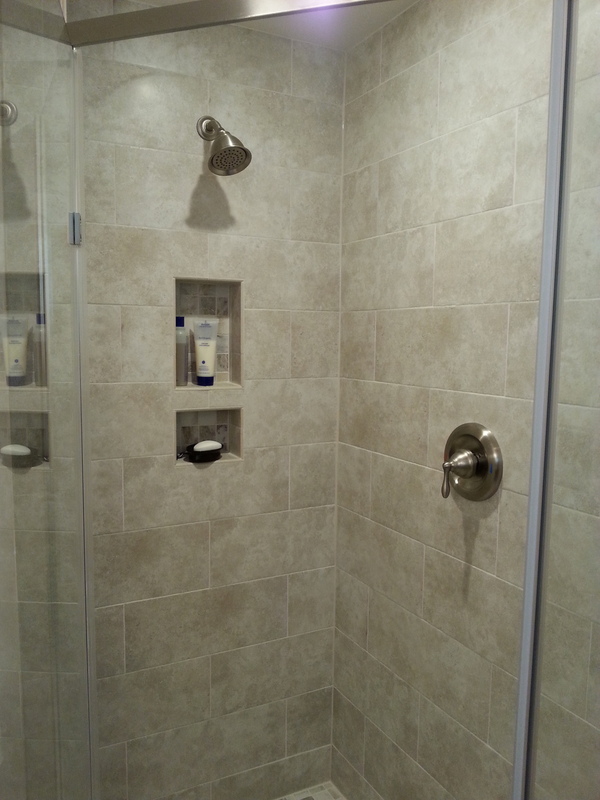 Applewood Knolls Bathroom Remolels — Loomis Improvements Inc. These two bathrooms needed to be modernized to catch up with the rest of their beautiful house. 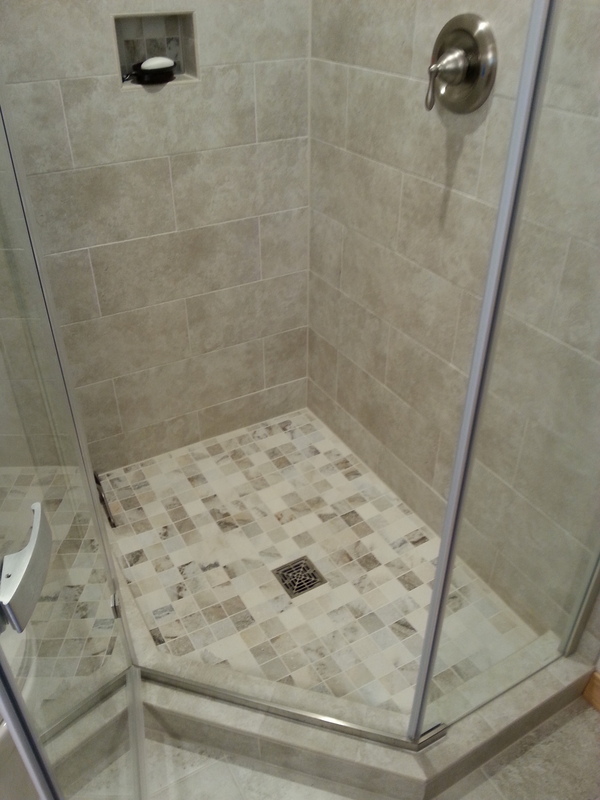 For the first bathroom remodel we removed the wall on the back of the shower to increase the square footage of it. We changed the plumbing to be more easily accessible and added a nitch for soap storage. 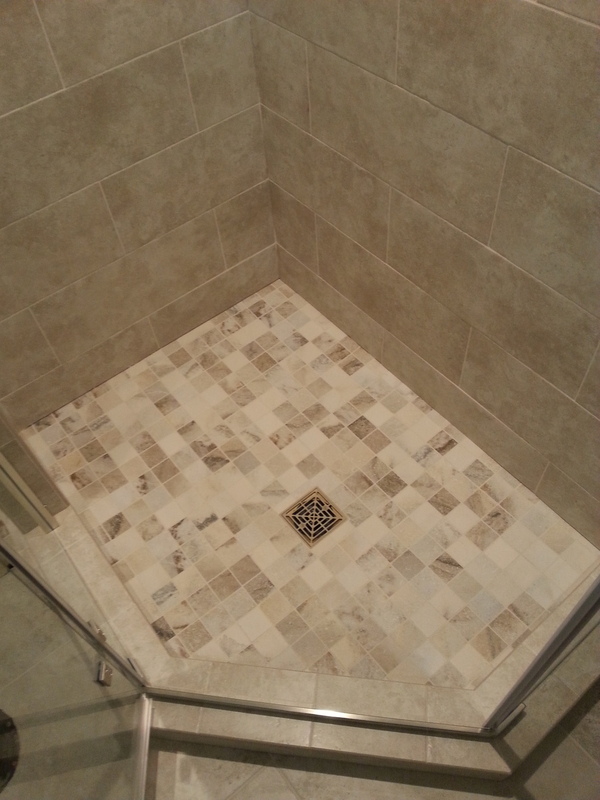 We built a custom shower pan to fit the glass shower walls and put 2" tiles on the bottom. 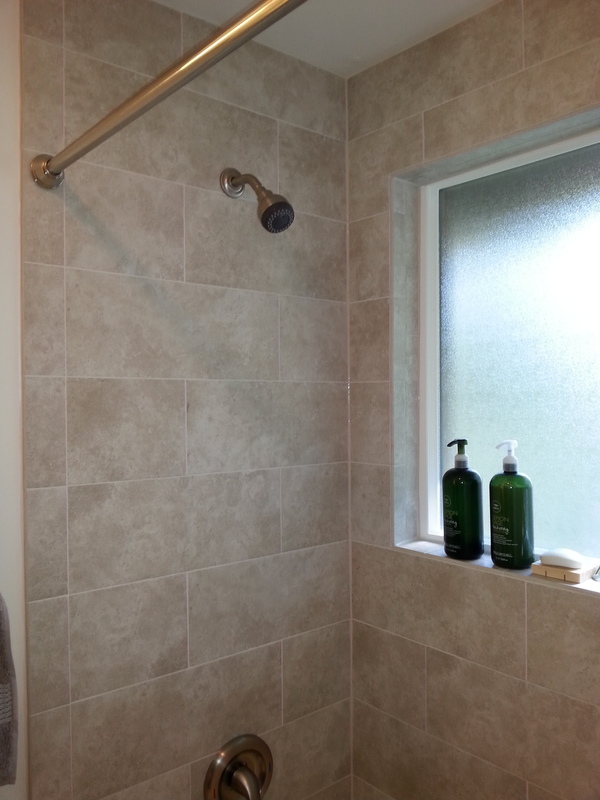 For the walls we put up 12x24" tiles in a horizontal brick pattern. 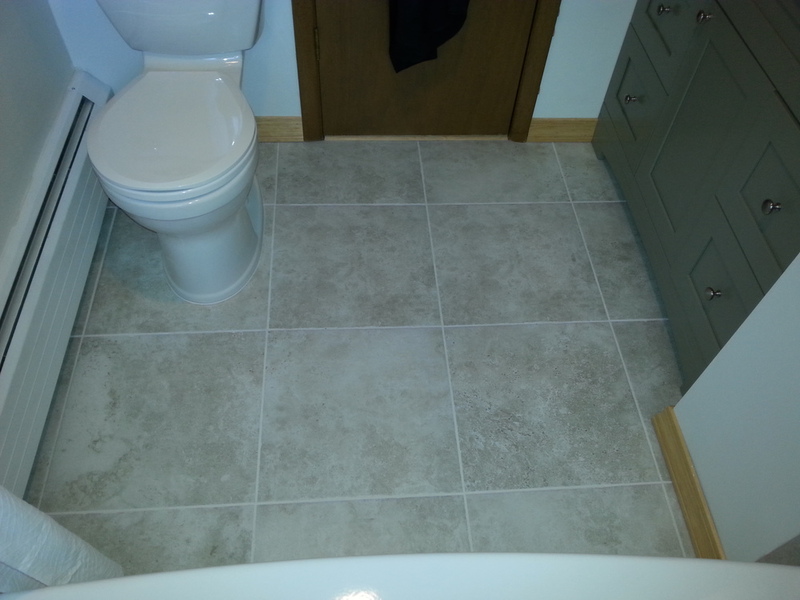 On the floor we put 24x24"square tiles. 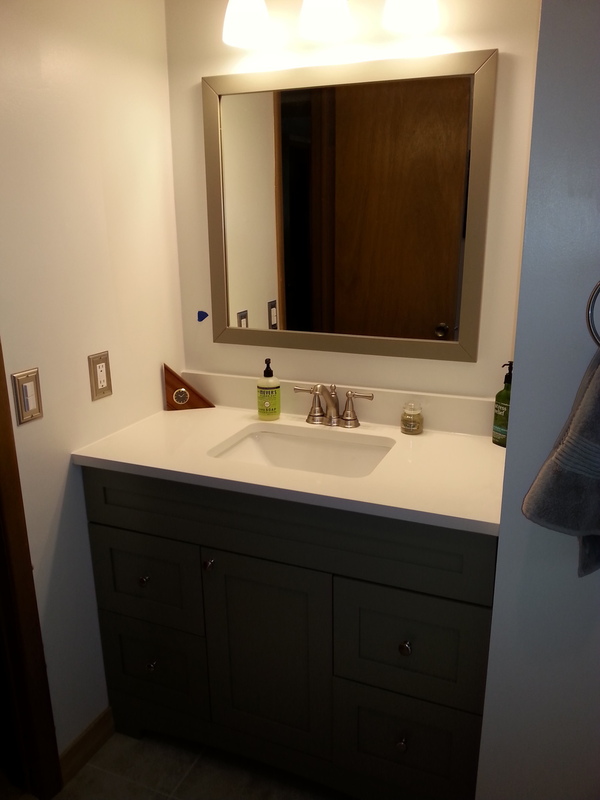 We modified the wall to fit the vanity with a marble top. On The second bathroom we replaced the tile in the shower with 12x24" tiles, put 24x24" tiles on floor and installed a vanity with a marble top.